“This is exactly what she wanted,” Kelly Guerrirero said, closing her eyes and clutching the gift to her chest. 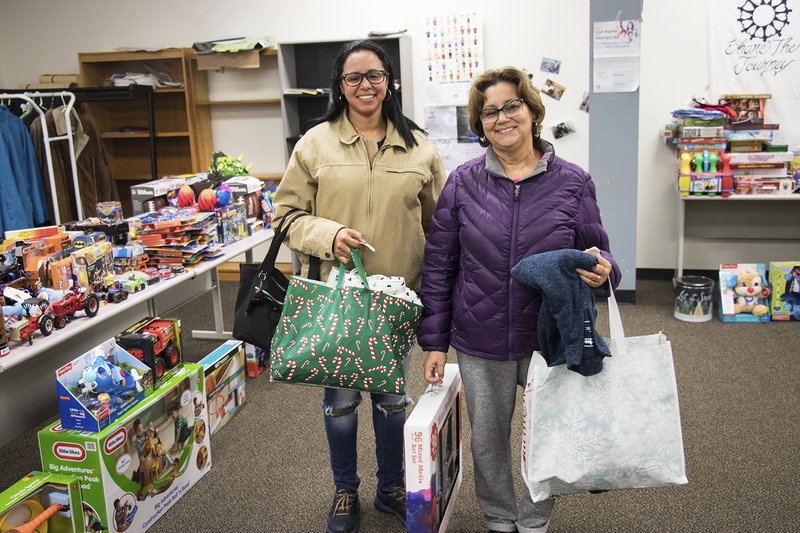 Guerrirero was one of dozens of parents who attended Catholic Charities’ Christmas toy drive on December 18, where they were able to choose toys for their children. 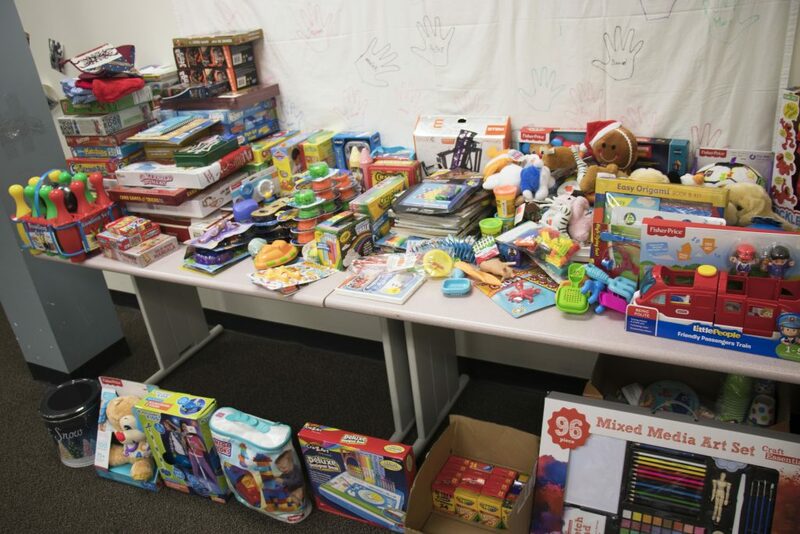 The gifts were generously donated by members of Saint Teresa of Calcutta Parish in Collingswood. These parents had all evacuated from their homes in Puerto Rico which were destroyed by Hurricane Maria in September. During this difficult time of transition for these families, Catholic Charities has been helping them with housing, employment, food, clothes, and utilities. 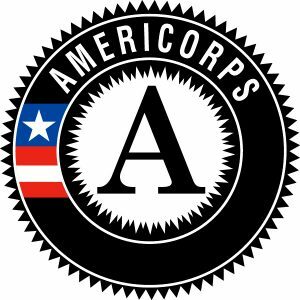 The parents are working hard to make ends meet as they begin a new life after leaving everything behind. And this Christmas, they faced a new challenge: providing toys to their children for Christmas. There was no frenzied mob typical of a “Black Friday” mall scene. 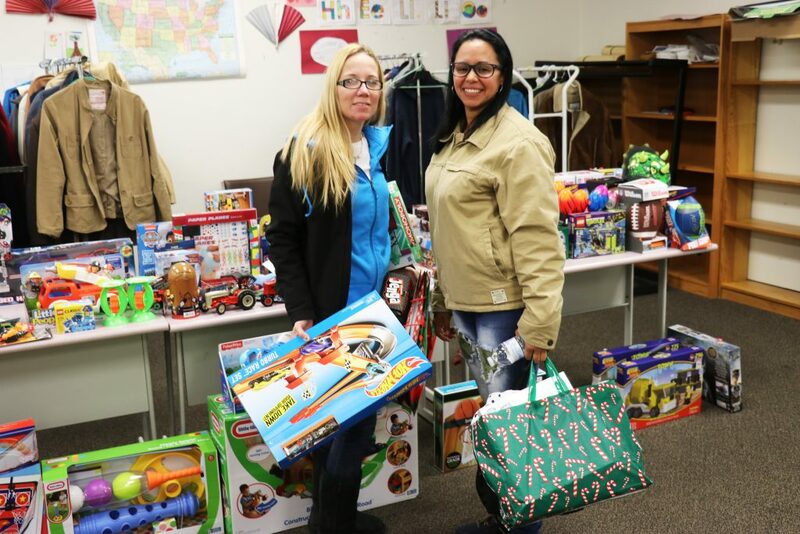 But there were plenty of smiles, hugs and a few sudden tears as mothers and fathers were greeted by Catholic Charities staff, Christmas carols and cake, and the sight of a room full of brand new toys that they would be able to give their children. It was hard to imagine who would be more excited on Christmas Day – the giver or the recipients. Many came to the United States with no more than one suitcase. Luz Polo arrived to New Jersey with her children and grandchildren. “Our homes were destroyed. The roads were destroyed. We were completely stuck, and my grandkids couldn’t go to school because their schools were destroyed too. Luckily we have family in New Jersey, so we came here with only fifty pounds of whatever we could fit in our bags,” she explained. 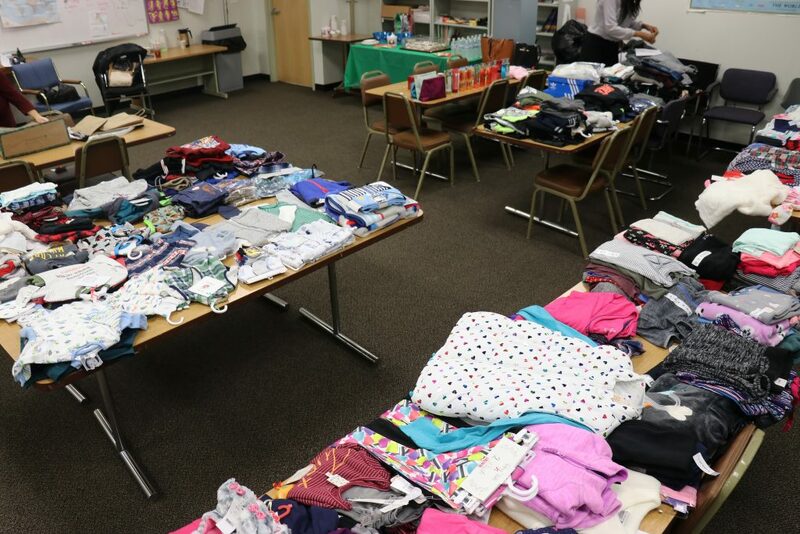 Lynsey Reyes, Catholic Charities Coordinator for the Hurricane Maria Relief effort has been leading and coordinating the assistance efforts for Puerto Rican evacuees across the diocese, including the coat drive and toy giveaway. Catholic Charities extends its deepest gratitude to the many parishes across the Diocese who donated to both the coat drive and the toy drive. Merry Christmas!